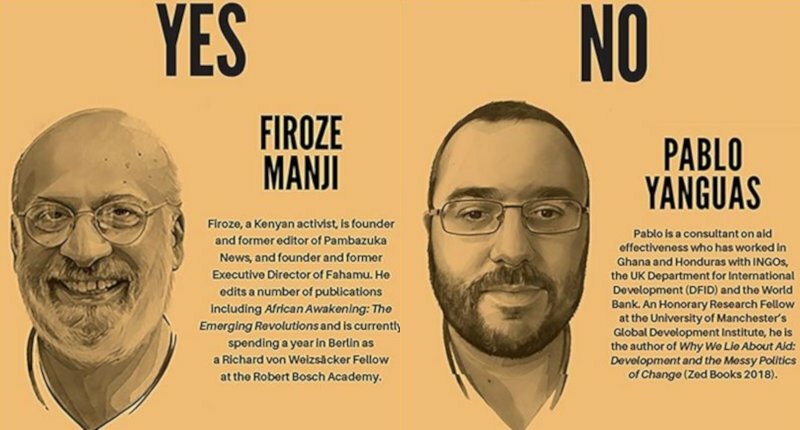 A while back New Internationalist asked me to participate in a written debate opposing the motion “The West should stop giving aid to Africa”. In front of me was Firoze Manji, a veteran Kenyan activist, communicator and intellectual. It was a tricky setup, because Firoze was maybe forced into a position that he may not fully identify with. Perhaps because of that, instead of a trite debate on the merits of aid, our exchanges veered into a bigger, more important question of revolutionary vs evolutionary change. I have always been a pragmatist and incrementalist, but Firoze really drove home the frustration that the gospel of small bets engenders in those concerned with social justice and transformation. Firoze: Aid uses public funds to subsidize and encourage the implementation of neoliberal policies that have resulted in growing impoverishment of the majority, and the obscene accumulation of wealth by national elites who are among its main beneficiaries. 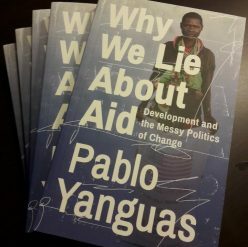 Pablo: Foreign aid is a very flawed tool, but one that is suited to the grey areas of development challenges. It works incrementally: testing, searching, making plenty of mistakes along the way, but also building unexpected coalitions, and planting the seeds of change.